It was Labor Day 1951, and what would turn out to be the last aerial thrill show ever at the Minnesota State Fair had 26,000 spectators on the edge of their seats. The little red-and-cream biplane with a young woman on its upper wing sped through a series of acrobatic maneuvers as the grandstand announcer described the action and emphasized how dangerous it all was. 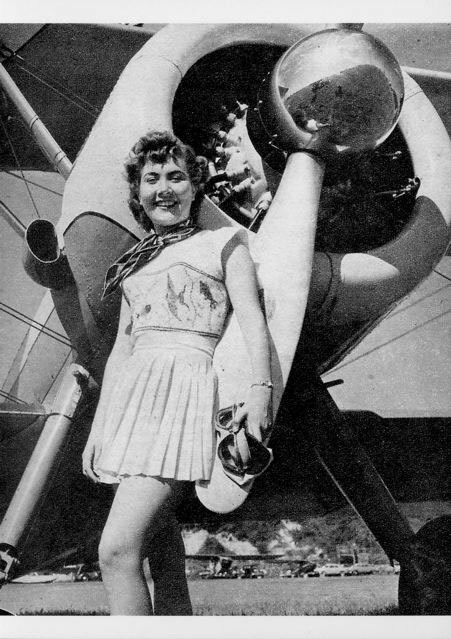 Kitty Middleton, real first name Pansy, a 17-year-old from the Missouri Ozarks, was performing in only her third air show. At the plane’s controls was former military pilot Carl Ferris, 27, of Lansing, Mich.
As usual, the act’s finale was to be an engine-off dive, then a dramatic power-on climb, followed by a triumphant pass by the grandstand. But this time something went wrong. The plane failed to come out of the dive, crashing about a half-mile to the north near Larpenteur Avenue. There was a collective gasp from the crowd as first a pillar of fire rose from the crash site, then a cloud of black smoke. Ferris died on impact, the force of which tore Middleton from the straps that held her to the wing, tossing her 75 feet away. She died about an hour later at the Northern Pacific Hospital near Snelling and University avenues. Her grandson, William Miller, 13, had been hoeing weeds just before the crash and started running as the plane approached. Several thousand curiosity-seekers rushed to the scene, causing extensive damage to the 10-acre truck garden. The teaming of Middleton and Ferris, sometimes billed as “The Skylarks,” had been veteran stuntman George Waltz’s idea for revitalizing an act he originated years before. People had grown tired of seeing him ride the wing himself, and Waltz decided if he was to get more fair bookings, he needed a more powerful plane and a “pretty girl” to take over his role. Middleton, the youngest of 13 children, didn’t require much persuasion to leave home for such exciting work. Waltz obtained his new plane, a Boeing Stearman that had been used as a trainer for Navy pilots in World War II, from a well-known Twin Cities-based aviator, Chuck Doyle. As a young man, Doyle had performed stunts himself at the Minnesota State Fair and went on to work for Northwest Airlines. Aerial thrill shows—wing walkers, parachutists, car-to-plane and plane-to-plane transfers, planes crashing into “houses”—had been a popular grandstand feature for 40 years. Despite this recent tragedy, at least one newspaper predicted that the shows were likely to continue. An investigation by the Civil Aeronautics Administration found that Ferris was flying lower than authorized and absolved fair officials of responsibility for the accident. But there would be no more stunt flying at the fair. In that less litigious era, Doyle Sr. never got paid for his plane but didn’t pursue the matter; nor is there any record of lawsuits being filed by Middleton’s or Ferris’s survivors. Doyle Sr. owned another Stearman plane, however, a twin to the one that was destroyed. 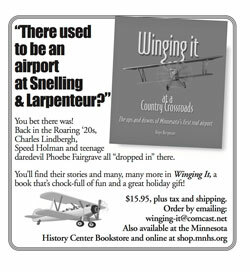 That aircraft became a familiar sight to fairgoers well into the 1980s as he used it to haul banners for KSTP broadcasting, 7UP soda and many other clients. 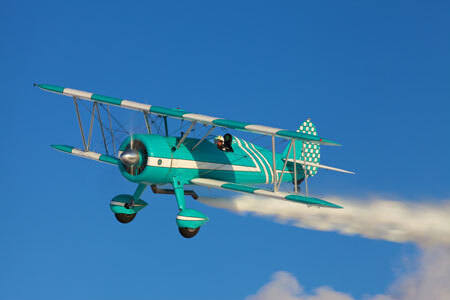 Doyle Jr. has restored that plane and still flies it occasionally at air shows, where it delights crowds just as its sister ship did, for a short time, all those years ago. 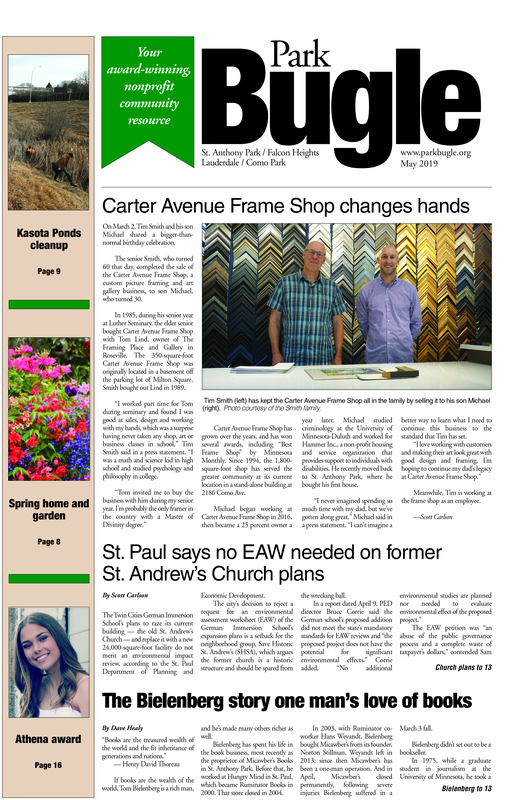 Roger Bergerson is a local historian, journalist and regular contributor to the Park Bugle. October 26, 2018 at 12:18 am.10. Hi my name is Lisa Middleton. Pansy is my Aunt. I never got to meet her, but grew up knowing all about her from my grand ma Middleton. It was important I knew the history of our family. I have my grand ma’s scrap book all about pansy, her career and the crash with the many news paper clippings. I have letters from pansy to family members. There is a nice video on you tube under Kitty Middleton. March 6, 2017 at 12:18 pm.03. If you google “Kitty Middleton,” there are several entries relating to her. March 4, 2017 at 12:18 am.03. August 30, 2016 at 12:18 pm.08. August 26, 2016 at 12:18 pm.08. I was there as well. I was 3 years old at the time and was with my grandparents driving by the fair. This is probably my first recollection and it is ingrained in my memory. It was horrifying to see the plane hit the ground and all the black smoke. I will never forget it. May she rest in peace. August 2, 2016 at 12:18 am.08. Yes, absolutely sure. I’ve got the newspaper clippings. August 1, 2016 at 12:18 am.08. Are you absolutely sure about the date of this crash? My mother and father attended the airshow and saw the crash. I was nine months old at the time and they left me with friends while attending the airshow. Trouble is, I was born in January 1953. My mother swears that the accident happened in 1953, and her memory of the event (she just turned 90) is very accurate.